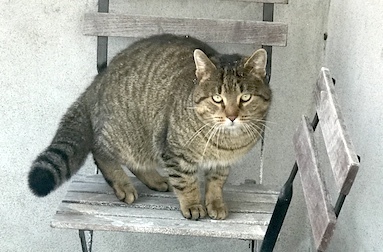 I’ve noticed a tabby male cat that often roams in the neighborhood of Brossard J4Z 2V9, not declawed, fearful, kind, and this since December 01, 2017. He’s not thin, but is a little sad in his eyes, I see him every day outside even in the very cold days and evenings, what does he look for? Next Post: Sheera – found!